Mary Tom (Spring) Isaac, 77, died March 4, 2018, as a result of injuries sustained in an automobile accident on January 10, 2018. After weeks of fighting to heal, Mary Tom went with dignity and grace into the arms of her Lord and Savior, Jesus Christ. She was surrounded by her loving family. Mary Tom was born in Clovis, NM on December 19, 1940 to Frank A. and Ethel R. Spring, and raised in Friona, Texas. Mary Tom Spring graduated from Colorado College in 1962 with a degree in Political Science. While attending Colorado College, she met the love of her life, James B. Isaac. They married on September 7, 1963. They went on to have three children: Susan Metzler (Jeff), Barry Isaac and Tom Isaac (Kari Somers). She was the best grandma to her three grandchildren, Allie Darling (Cole), Tanner Metzler and Braydan Isaac. She was so very proud of each of them and loved them beyond words. She was joyously awaiting the birth of a granddaughter this May (Tom and Kari). Mary Tom is survived by her family and brother, Frank L. Spring (Martha) of Albuquerque, NM, brother-in laws Frederick M. Isaac (Judy) of Seattle, WA and Sam Isaac of Colorado Springs, CO, nephews Michael Isaac (Megan) and Frank A. Spring (Angela), niece Margaret Isaac (Matt Hanson), a great-niece, 3 great-nephews and numerous cousins. Mary Tom was an active member of St. Paul's United Methodist Church. One of her greatest loves was cooking for the Keenagers at St. Paul's and fellowship with her friends at their weekly Bible study. She was honored by St. Paul's when she received the Quiet Disciple award for her service to the church. She was so proud to be a member of St. Paul's and truly loved her church family. Her close friend said that "her eyes sparkled when she read the Bible." Throughout her life, Mary Tom was active in local politics. She loved to campaign and participate in community activities. Mary Tom was El Paso County Co-Chairman for George H.W. Bush, head of the Armstrong Ambassadors for Senator Bill Armstrong and served on the Colorado Springs Park and Recreation Board as a member and Chair. She loved living in Colorado Springs. Mary Tom was also an active gardener and loved to play Bridge. Number one on her Bucket List was to visit Paris, shop in the markets and take a cooking class with a French Chef. She fulfilled this dream in September of 2016 and she said it was more wonderful than she had imagined. We are so grateful that she was able to take that trip. Mary Tom was a beautiful, friendly soul who touched so many with her kindness, love and gentle spirit. She was loved by so many and will be forever missed by those who knew and loved her. We thank God that we got to spend our lives with her and she made each of us a better person for having known and been loved by her. Mary Tom's memorial service will be Saturday, March 24, at 11AM at St. Paul's United Methodist Church, 2111 Carlton Ave., Colorado Springs, CO 80909. In lieu of flowers, donations may be sent in Mary Tom's name to St. Paul's United Methodist Church. We would like to thank her St. Paul's family and the nurses at Penrose Hospital and Pikes Peak Hospice for their loving care. 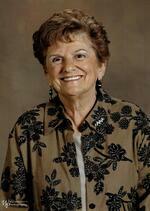 To send flowers to the family of Mary Tom Isaac, please visit our Heartfelt Sympathies Store.